I watched President Trump’s State of the Union address. I will be curious to hear from our readers what part of the speech that they liked or didn’t. For me? The most special part was the President’s recognition of 12-year-old Preston Sharp, the California boy who has placed American flags and flowers at the graves of more than 40,000 veterans. He was the young man sitting next to the First Lady. The idea came to him when he visited his grandfather’s grave at the McDonald Cemetery in Redding, Calif., in 2015, and he noticed many veterans’ graves had no flag or flower. He decided to take it upon himself to make sure every veteran would be honored. Sharp’s labor of love has inspired thousands of others to honor the veterans buried near them as well. It’s the least controversial movement out there right now and it seems to be gaining momentum. Each time Sharp visits more cemeteries, more and more people show up to thank him and help him clean graves and drop flowers. As of now, Sharp has already facilitated the placement of 40,000 flags and flowers at the graves of our veterans. That number is going to go up and he has a goal to raise $1 million to use for his journey. He’s raised nearly $52,000 so far. I just went online to Preston’s GoFundMe site and donated to him and hope you will, too. I hope this week’s newsletter gives a bit of inspiration as you start your week! It’s hump week – the fifth week of the nine-week Florida legislative session. This week, the Senate’s Assignment of Benefits (AOB) reform bill will have its second committee hearing, with grumbling that it doesn’t go far enough in consumer protections and isn’t something that insurance companies, plaintiff attorneys, and vendors can all agree to live with. But nor is the House plan for that matter. So there is a sense of déjà vu, as this is the sixth year the legislature is attempting to pass AOB reforms. This past week saw new bills and directives to help fix some of the challenges uncovered by Hurricane Irma so that Florida is even better prepared and our collective response improved when the next big storm or other disaster hits. We’ve outlined the most significant in this week’s report. The week was highlighted though by both chamber’s Appropriations Committees approving their respective budgets for the fiscal year beginning July 1 – $87.2 billion for the House, while the Senate is at $87.3 billion (our current year budget is $85 billion for comparison). The chambers will vote on their budgets this week. Many tax reduction ideas are being discussed but no clear tax package has yet emerged. Assignment of Benefits (AOB) – The Florida Senate’s version of AOB reform will go before the second of its three committees tomorrow, with the Judiciary Committee taking it up at 2pm. (To watch, go to www.thefloridachannel.org, then on the right side select “Live Stream”, then scroll down and select the Senate Judiciary Committee.) Look for skepticism from some Senators on whether this version of reform goes far enough to stem the well-documented – and growing – abuses that exist in the system to the detriment of consumers and insurance companies alike. The bill in question is SB 1168 by Senator Greg Steube (R-Sarasota), which passed the Banking and Insurance Committee by a 7-3 vote on January 23. The vote followed weeks of testimony last fall from various sides of the AOB issue before the same committee. It came after an alternative measure by Senator Doug Broxson, incorporating parts of SB 1168, Senator Hukill’s SB 62, Florida Office of Insurance Regulation recommendations, and Citizens Property Insurance input was shot down. See Bill Watch Backgrounder: Assignment of Benefits for more details. SB 1168 differs most from other Senate measures in how attorney fees are handled in third-party AOB disputes with insurance companies. It continues current practice to allow such fees to the prevailing party in a lawsuit or settlement – whether that be the policyholder or a third-party vendor exercising an AOB. This is contrary to the intent of Florida’s one-way attorney fee statute and to the advice of Florida Insurance Commissioner David Altmaier. Several senators voiced their expectation that insurers and trial attorneys continue to work toward a better compromise than the current version of SB 1168 provides. Meanwhile, Rep. David Santiago (R-Deltona), who has been a champion in the fight against the abuse of assignment of benefits for the past several years, has a catch-all insurance bill (HB 465), known as an “omnibus” bill to change several provisions of the insurance code. This past week the bill was revamped again for the second time in as many weeks, with the new version as CS/CS/HB 465. The bill passed the House Commerce Committee last Thursday and now heads to the full House. Among the changes in this bill is the addition of the Intelligent Mail Barcode or other similar tracking methods used or approved by the United States Postal Service as an acceptable delivery method under a policy’s proof of mailing requirement. Majority Leader Ray Rodrigues questioned Rep. Santiago on the veracity of the process, noting it tracks a package to the mail center and then the mail truck, but not to someone’s home. Rep. Rodrigues said he knows from personal experience (and those of his neighbors) that mail mix-ups occur and said something as important as an insurance notice should have a traceable delivery abilities. Look for more discussion about this when the bill is debated on the House floor. Previous changes to the original bill included elimination of a provision that would have excluded from the Department of Financial Services complaint registry complaints filed by third parties who are not satisfied with an insurance company’s claims handling when an assignment of benefits is involved. The Senate Bill (SB 784) by Senator Brandes is scheduled for its first committee stop tomorrow before the Banking & Insurance Committee. Windshield AOB – There were ruffled feathers from some windshield repair shops following last week’s passage of Senator Dorothy Hukill’s CS/CS/SB 396 by the Senate Commerce and Tourism Committee. The bill would allow auto insurers to require an inspection of a damaged windshield of a covered motor vehicle before the windshield repair or replacement is authorized. The bill addresses what Sen. Hukill has called “the proliferation of damaged windshields in Florida by bad actors, waiting in parking lots and car washes, offering free windshields and incentives for their services, whether needed or not, and it’s driving up costs.” The bill includes requirements that the inspection take place within 24 hours from the notice of a claim – but must be skipped if the damage has impacted the vehicle’s structural integrity or otherwise would be a violation to drive on the roadway. The bill is also meant to cut down on the number of AOB lawsuits by out-of-network windshield shops. Those lawsuits, according to the state Department of Financial Services, have grown from 397 in 2006 to 19,513 in 2017. Prior to last week’s meeting, Hukill filed an amendment which would prohibit windshield shops from offering incentives to customers to file insurance claims for damaged windshields. The amendment was tabled at the start of the meeting after Senator Jose Rodriguez (D-Miami) filed a motion of germanity, which is a procedural point of order, alleging the bill’s title didn’t reflect its content. Senator Hukill’s staff created a new amendment –same as the old one she said, but with a new title that she said reverted back to the original title. Rodriguez upon review complained the title still didn’t reflect its intent. The title he said relates to the relationship between the insurer and the insured, yet the bill’s language actually regulates motor vehicle repair shops, under a different section of statutes. When the committee voted a time certain to vote on the bill, time ran out for Senator Rodriguez to submit another motion of germanity and the amendment and subsequently the bill passed the committee, amid cries of “this isn’t right” by some windshield repair shop representatives in the audience. The bill has been revamped several times and is returning to the Banking and Insurance Committee where it first passed unanimously on January 16. Workers’ Compensation for First Responders – The House began moving its bill this past week, with passage of HB 227 by Rep. Matt Willhite (D-Royal Palm Beach) by the Oversight, Transparency & Administration Subcommittee. The bill and a similar one in the Senate, CS/SB 376 by Senator Lauren Book (D-Plantation), remove the requirement on some first responders that there be a physical injury in some circumstances in order to receive medical benefits for a “mental or nervous injury”, so long as the responder witnessed a specified traumatic event. The Senate bill passed the Senate Commerce and Tourism Committee unanimously on January 16 – its second committee – and awaits a hearing before the Appropriations Committee. These efforts are inspired, in part, by the city of Orlando’s refusal to pay such benefits to a police officer reportedly diagnosed with PTSD after responding to the Pulse nightclub shootings. SB 126 by Senator Victor Torres (D-Kissimmee), which would require treatment begin within 15 days, has not been heard. Personal Injury Protection (PIP), also called No Fault Insurance – Efforts continue behind the scenes to add Bad Faith provisions into both the House and Senate versions of bills that would do away with PIP insurance. Various bills under consideration would eliminate the state requirement that motorists carry $10,000 in PIP insurance and put responsibility for vehicle accidents on the party at fault. While the House has passed its PIP repeal bill and the Senate is working its version through committees, some insurance interests are withholding formal support because neither bill provides protections from bad faith lawsuits that will likely go with the territory of returning to a tort system. Trash Pickup – The House Energy and Utilities Subcommittee last week passed CS/HB 971 by Rep. Randy Fine (R-Palm Bay) that would prohibit a municipal or private garbage service from charging customers for missed trash pickups, unless the trash is removed within three days of the normally scheduled date. The bill also prohibits telephone or cable companies from charging their customers for service that was interrupted for longer than 24 consecutive hours, unless it was the customers fault. The bill opened a broader discussion on the timing of garbage and yard waste both after and before a storm. Trash haulers who spoke said there should be no collection of garbage or yard trimmings 48 hours before a storm, as they can become projectiles in high winds. Afterward, in the case of Hurricane Irma in Jacksonville, one hauler testified many areas of the city were still flooded seven days later, preventing trash trucks from garbage pickup. Committee members expressed concern about the complexity of the bill and that it would create new costs that would inevitably fall on customers. Although the bill passed committee, many members said their ultimate approval was dependent on the bill improving. Underground Utilities – Legislation giving the state Public Service Commission the sole ability to require underground transmission lines passed the House in late January and awaits action in the Senate. Nursing Home Emergency Power – CS/SB 1874 by Senator Kathleen Passidomo (R-Naples) would require the Agency for Health Care Administration to adopt and enforce rules requiring each nursing home and assisted living facility to have an emergency power source and fuel supplies to last at least 96 hours during a power outage. The bill was prompted by the deaths of residents of a Hollywood nursing home that lost its air-conditioning system during Hurricane Irma. The bill passed the Senate Health Policy Committee last week and now goes to the Appropriations Subcommittee on Health and Human Services. Fuel Emergencies – The state agriculture commissioner would be empowered to lower gas prices during an emergency under an amendment that was added last week to CS/HB 553, a House omnibus bill on regulations by the Department of Agriculture and Consumer Services. The bill, with the amendment, passed the House Commerce Committee last week and is ready for consideration by the full chamber. The measure’s specific intent is to require gas stations that run out of lower octane fuel to then sell their higher octane fuels at the lower octane price. A representative from the Florida Petroleum Marketers Association said the measure would place Floridians at greater risk of predatory pricing in the longer term, because the big oil companies can afford to sell 93 Octane gas at 87 Octane prices while the smaller mom and pop operators cannot. Representative Jamie Grant (R-Tampa) pointed out the measure would help consumers immediately prior to and after a disaster, when they need it most, in what was a very good debate among members. The Senate meanwhile, through its Committee on Military and Veterans Affairs, Space, and Domestic Security last week passed CS/SB 700 that would create a Florida Strategic Fuel Reserve Task Force within the Division of Emergency Management. The task force would recommend by April 30, 2019, a strategic fuel reserve plan to meet the state’s fuel needs during emergencies and disasters. 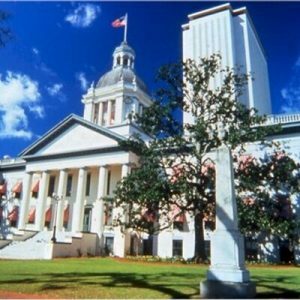 Governor Directives – Governor Scott this past Friday issued a series of directives to state agencies, mostly the Department of Transportation, to begin immediate work implementing some of the House Select Committee report’s recommendations. This includes the DOT by this July, identifying areas along major evacuation routes where more fuel services are needed and looking at options to expand fuel capacity for first responders. Other directives include expanding emergency shoulder use along key interstates, a strategy used during Irma last September as traffic backed up while motorists fled north on I-75 ahead of the storm. The Governor also directed that cameras and message signs be installed along I-75 from Ocala north to the Georgia state line and enhancements be made to the state’s “Florida 511” traffic information website for motorists. The DOT’s previous review suggested emergency shoulder plans for I-75 northbound from Alligator Alley in Fort Lauderdale; on the turnpike northbound from Orlando; on Interstate 95 northbound from Jupiter to south of Jacksonville; and on Interstate 10 westbound from I-75 to just east of Tallahassee. Hurricane Flood Insurance – New amendments were filed this past week on other bills prompted by Hurricane Irma’s aftermath. CS/HB 1011 by Rep. Janet Cruz (D-Tampa) would require homeowners insurance policies that do not include flood insurance (most don’t) to so declare and would require policyholders to initial that declaration in acknowledgment. The bill and its Senate counterpart, CS/SB 1282 by Senator Taddeo (D-Miami) were filed in December and prompted by two realities: upwards of 60% of Irma’s damage here was caused by water and up to 80% of Florida flood victims may not have either NFIP or private flood coverage. The Senate Banking and Insurance Committee last week passed SB 1282, along with two amendments that 1) require the policies to acknowledge that private flood coverage is available for those homeowners with property valued above the National Flood Insurance Program’s $250,000 coverage limits; and 2) push the effective date of the measure to 2019 to allow insurance companies enough time to change their forms. The House Commerce Committee last week passed CS/HB 1011 but removed the specific reference to the National Flood Insurance Program. That measure is now ready for consideration by the full House. Bill sponsor Rep. Santiago admitted more debate is needed. Although acknowledging that the “safety valve” in the bill wouldn’t produce consumer savings this year due to the $2 billion hit from Irma, “that safety valve would work, so that in quieter years, there would be savings…to help constituents avoid what I consider a tax year after year.” CS/HB 97’s next stop is the Commerce Committee. Direct Primary Care – There’s no progress to report from this past week on this issue. Informally dubbed “concierge medicine for the masses”, HB 37 by Rep. Danny Burgess (R-Zephyrhills) passed the House on January 25. The bill allows doctors to enter into monthly fee for service arrangements directly with individuals or employers, essentially bypassing health insurance organizations. Burgess, in explaining the bill on the floor, said a lot of doctors don’t enter direct primary-care agreements because of regulatory uncertainty. The bill would make clear direct primary care is not subject to insurance regulations. Burgess said the agreements are more affordable than insurance (typically costing about $75 month) and co-sponsor Rep. Mike Miller (R-Winter Park) said the bill gives the “ultimate decision-making process” to doctors and patients. “We’re trying to lower the cost of health care and improve the outcomes,” he said. Two amendments which would have essentially added Obamacare provisions by preventing a primary care practice from declining a new patient because of health status or discontinuing care to an existing patient due to health status, as well as eliminating refunds to an employer paying on behalf of an employee, directing the refund go instead to the patient – failed to pass. A companion bill, CS/SB 80 by Senator Lee, passed by unanimous votes in October out of the Banking and Insurance, as well as the Health Policy Committees and awaits action in the Appropriations Committee. Health Insurer Authorization – CS/SB 98 by Senator Steube was passed by the Senate this past week. It and a revamped companion bill CS/CS/HB 199 by Rep. Shawn Harrison (R-Tampa) would require insurers and Medicaid HMOs to approve or deny prior authorization requests as well as appeals from denials of care within three days in non-urgent situations and one day if the care is urgent. It would also prohibit prior authorization forms from requiring information not necessary to determine the medical necessity or coverage for a treatment or prescription. Health insurers and their pharmacy benefits managers would also have to provide requirements and restrictions on prior authorizations in understandable language and to make them available on the internet, along with a 60-day notice of any changes. It also defines “step therapy” and prohibits insurers and HMOs from requiring patients repeat step therapy protocols. In recognition of the current opioid crisis, the Senate previously approved an amendment requiring insurers waive step therapy requirements if the treatment being recommended is a non-opioid alternative. Meanwhile, there was quiet, but dramatic testimony last week on CS/CS/HB 199 before the Insurance and Banking Subcommittee. A schizophrenic patient testified that getting on the right medication and staying on it are crucial. She hinted she had to start over with step-therapy protocols when her psychiatrist of 10 years retired. Denying a drug, even temporarily, she said, can lead to hospitalization and death. A representative from America’s Health Insurance Plans warned that disregarding step therapy protocols could impact patient safety. An amendment was added that clarified that this applies to insurance in both small group and large group plans. There was a question on whether this will increase rates for consumers. Rep. Harrison said possibly, but that it hasn’t happened in other states with this requirement. The bill passed and now heads to the Health & Human Services Committee. Senator Steube is also sponsoring SB 162 that would prohibit health insurers and HMOs from retroactively denying insurance claims under certain circumstances. The bill passed its last committee stop last week before the Rules Committee and is ready for a vote on the Senate floor. Flood Insurance and Mitigation – There’s no further progress to report from this past week on this issue. SB 158 by Senator Jeff Brandes (R-St. Petersburg) provides greater funding for flood mitigation so that more individuals and communities can meet NFIP flood insurance standards. The bill would allow flood mitigation projects to be funded by the Florida Communities Trust to reduce flood hazards. Senator Brandes has for the past 5 years taken the lead in Florida in the flood insurance arena. The bill has been referred to the Committees on Environmental Preservation and Conservation, Appropriations, and the Appropriations Subcommittee on the Environment and Natural Resources but has not been scheduled to be heard. An identical House companion, HB 1097 by Rep. Cyndi Stevenson (R-St. Augustine) was filed in late December. Telehealth – CS/SB 280 by Senator Aaron Bean (R-Fernandina Beach) passed the Senate Health Policy Committee last week, its second of four committee stops. It’s part of a continued effort to put remote health practitioner visits via the internet on an equal footing as in-office visits, in order to reduce health costs and provide parity of care to rural patients. A state panel in 2016 executed a list of legislative directives to help smooth the kinks and establish recommended procedures to help make this bill a reality. SB 280 would establish the standard of care for telehealth providers; encourage the state group health insurance program to include telehealth coverage for state employees; and encourage insurers offering certain workers’ compensation and employer’s liability insurance plans to include telehealth services. A companion, HB 793 by Rep. Massullo, was filed in late November and has been referred to the House Health Quality Subcommittee and the Health and Human Services Committee, but has not been scheduled for consideration. Texting While Driving – Moving Florida’s current ban on texting while driving from a secondary offense (where you can be ticketed during a traffic stop made for another reason) to a primary offense continues to steadily advance, with a vote possible soon by the full House. The House Government Accountability Committee last week passed a revamped CS/CS/HB 33 by Rep. Jackie Toledo (R-Tampa), which now includes an amendment its Senate companion had adopted two weeks ago requiring that the driver’s race and ethnicity be recorded by law-enforcement officers when ticketing for texting while driving. The amendment passed out of concerns about racial profiling of minorities. Under the bill, first-time violators would face a $30 fine plus court costs for a non-moving violation. Second-time offenders would face a $60 fine plus court costs with a moving violation. Those involved in crashes or texting in school zones face additional penalties. Like its companion, SB 90 by Senator Keith Perry (R-Gainesville), the bill requires the officer notify the driver of the constitutional right not to have their cellphone examined by authorities. Neither applies to stationary vehicles. Florida is one of four states where texting while driving isn’t a primary offense. The House bill is now ready for a floor vote and the Senate bill is awaiting its last hearing before the Appropriations Committee. Controlled Substances – Two bills continue to progress rapidly through their respective chambers to address the huge increase in Florida’s accidental drug overdose deaths. SB 8 by Senator Lizbeth Benacquisto (R-Ft. Myers) will have its last committee hearing this Wednesday before the Rules Committee. It would restrict an opioid supply to three days for standard prescriptions but would allow doctors up to a seven-day supply in certain medical cases. Additionally, it provides for more continuing education for responsibly prescribing opioids and requires participation in the Prescription Drug Monitoring Program by all healthcare professionals that prescribe opiates. It specifically requires doctors to check the database before writing prescriptions, to avoid enabling “doctor shopping” multiple-prescription patients. Speakers at past hearings have included doctors and patient groups and were very positive and supportive of the bill. Pain doctors and ER physicians have expressed some concern about the three-day limit, but overall, the bill’s concepts have been favorably viewed. The Senate’s budget, passed last week by its Appropriations Committee, provides $53 million for the treatment and prevention of opioid addiction. A similar bill in the House (HB 21) by Rep. Jim Boyd (R-Bradenton) is awaiting its last stop before the Health & Human Services Committee. It has the same prescription limits as the Senate version. It would also authorize the state Department of Health to share data with other states to avoid patient abuse in filling multiple prescriptions. The House earmarked about $50 million to address the opioid crisis, with more than half of that to come from federal funding. The House also wants to spend $1 million on the statewide prescription drug database. Trade Secrets in Public Records – CS/HB 459 & CS/HB 461 by Rep. Ralph Massullo (R-Beverly Hills) were revamped and passed the House Oversight, Transparency and Administration Subcommittee on January 17. On a related note, a Leon County judge recently ruled as well that a TV production/PR company had to release its records surrounding a state contract involving Emeril Lagasse’s $11.6 million Visit Florida contract. These bills and this judicial dispute arise from House Speaker Richard Corcoran’s October press conference about his objection to state agencies who claim trade secret to shield contract and vendor information. Corcoran said that agencies should not be entitled to trade secret privileges if they “spend one penny of taxpayers’ dollars.” CS/HB 459 repeals all public record exemptions for trade secrets in current law, all associated processes for designating a trade secret, and all references to trade secrets contained in definitions for proprietary business information. This includes the trade secret process used in the insurance code, Section 624.4213, Florida Statute. Interestingly, a “sister” bill, CS/HB 461 enacts a new trade secret process that is not unlike current law regulating insurance entities use of trade secrets now. It clearly defines the term and specifically excludes from the definition any of the myriad contracts and agreements between agencies and outside vendors that Speaker Corcoran has been critical of. So in essence, CS/HB 459 repeals the current insurance entity trade secret practice and CS/HB 461 restores it. CS/HB 459 has companion SB 956 and similar bill SB 958 (both filed by Senator Mayfield in November) and CS/HB 461 has a similar bill in SB 958. Neither Senate Bill has progressed so far. 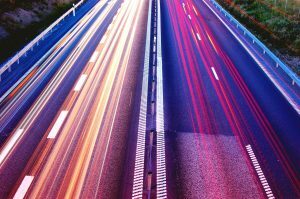 Autonomous Vehicles – A revamped HB 353 by Rep. Jason Fischer (R-Jacksonville) authorizes the use of vehicles in autonomous mode “regardless of whether a licensed human operator is physically present in the vehicle.” It unanimously passed its second hearing stop last week before the House Appropriations Committee and is on its way to the Government Accountability Committee. There was acknowledgment by various parties in the meeting that Florida is in a race with other states to legalize so-called “self-driving cars” together with the impact that would have on our existing AV research projects here. The autonomous technology would be considered the human operator of the motor vehicle and provides that various provisions of law regarding motor vehicles such as rendering aid in the event of a crash do not apply to vehicles in autonomous mode where a human operator is not physically present as long as the vehicle owner promptly contacts law enforcement. The bill also addresses the applicability of laws regarding unattended motor vehicles and passenger restraint requirements as they relate to vehicles operating in autonomous mode where a human operator is not physically present in the vehicle. A Senate companion (CS/SB 712) by Senator Brandes unanimously passed the Transportation Committee this past week and awaits hearings in the Banking and Insurance, and Rules Committees. Property Tax Exemption for Generators – There’s no progress to report from this past week on this issue and at this point, it is stalled. Designed to help those who want to help themselves the next time a big hurricane or other calamity hits and the power goes out, SJR 974 by Senator Jeff Brandes (R-Pinellas) would place a constitutional amendment on the 2018 ballot for voters to consider a property tax exemption for the just value of a permanently installed stand-by generator system when assessing annual property taxes; a companion bill SB 976 (Brandes) would implement the measure. Lawsuits filed by patients who want the right to smoke marijuana to relieve their debilitating medical conditions and the right to grow marijuana plants can proceed. Leon County Circuit Court Judge Karen Gievers, in a recent pair of rulings, denied the Florida Department of Health’s requests to dismiss the lawsuits. Several patients are challenging a state law passed during the special session last year that implemented how constitutional Amendment 2, passed by voters in 2016, is carried out. The law bans smokeable marijuana. Three patients with qualifying medical conditions outlined in the law brought suit, claiming Amendment 2 allows patients to smoke marijuana. The Department of Health disagrees, arguing the amendment doesn’t expressly allow it and the legislature was within its authority to ban smoking because it has expressed power to implement the amendment. The amendment says “Nothing in this section shall require any accommodation… of smoking medical marijuana in any public place. The patients’ attorney, former Florida House Speaker Jon Mills, argues the language implies that smoking in a private place would therefore be permissible. Judge Gievers ruled the three patients do have standing and the lawsuit can proceed. The judge also ruled in favor of the patient in the other lawsuit, Joe Redner, who said a 2014 state law gives him the right to grow his own marijuana plants to self-treat his Stage 4 lung cancer. Redner argues that cannabis means all parts of any plant and that as a medically-certified patient, he is entitled to use and possess it for his medical condition. Redner said he emulsifies the plant in water and drinks the resulting juices. He said such raw plants are not commercially available. The Department of Health disputes whether qualifying patients have a constitutional right to possess growing plants and administer them to themselves. If you could spend $1 today to avoid spending $6 in the future, would you do so? That’s the proposition raised by the National Institute of Building Sciences in a recent study on reducing the costs of natural disasters. With NOAA declaring 2017 the costliest year on record for weather disasters, the report is timely and its conclusions eye-opening for anyone who lives in, owns, manages, insures, or regulates structures. The project team estimated that just implementing these two sets of mitigation strategies would prevent 600 deaths, 1 million nonfatal injuries and 4,000 cases of post-traumatic stress disorder (PTSD) in the long term. The report acknowledges that while mitigation is a good investment, the reality is that not everyone is able or willing to bear these construction costs for more resilient buildings. Past NIBS reports address incentives to help make this happen. Smart Vent Products, a leader in wet and dry floodproofing solutions, announced that the United States District Court for the District of New Jersey (case number 13-5691) ruled Crawl Space Door Systems, (CSD), a competitor of Smart Vent, falsely represented its flood vents to be compliant with FEMA’s Technical Bulletin 1, August 2008 (TB-1). CSD’s false claims may have misled homeowners that CSD flood vents were compliant with FEMA’s TB-1, which has strict standards for flood protection. Smart Vent filed the unfair competition suit against CSD in 2013 to primarily help ensure that homeowners don’t lose their largest asset, their home and its irreplaceable contents, and business owners don’t lose the company store, because un-certified and ineffective flood vents failed to meet federal standards. Smart Vent’s state-of-the-art flood vents are certified by the International Code Council Evaluation Service. This body evaluates mass-produced engineered flood vents, including the underlying manufacturing processes and quality controls, ensuring compliance with FEMA TB-1 regulatory criteria. Smart Vent’s flood vents stay closed until they come in contact with flood water. Flood waters lift the internal floats, which unlatch and allow the flood door to rotate open. This allows the flood water to automatically enter and exit through the frame opening, relieving pressure from the foundation walls. And unlike some competitors’ products, Smart Vent flood vents feature large unobstructed openings that allow flood debris to easily pass through instead of being trapped against screens or smaller openings. Smart Vent’s Flood Risk Evaluator division has set up a hot line 800-507-0462 and e-mail consumerconcern@yourfloodrisk.com to provide free evaluations of homes and buildings that have this falsely advertised flood vent in their foundations and any other questions consumers have about protecting their structures. Smart Vent will review property characteristics to ensure that there are enough flood vents to adequately relieve estimated flood water pressures which can lead to devastating damage. As we’ve been reporting in this newsletter’s Bill Watch, the Florida legislature is considering changes in state law that would allow fully autonomous vehicles on the roadways – regardless of whether a human occupant is onboard. With this change will come changes to how our roads are designed, with traffic engineers predicting that within the next 25 years, we could see three or four lanes on a 30-foot wide street, where just two lanes now exist. Broward County Metropolitan Planning Organization executive director Greg Stuart was recently quoted in the Sun-Sentinel, as saying “The width of these (roads) is now going to be changed because within the next seven to 10 years vehicles are going to be able to pass each other within 2.5 inches.” Because the vehicles will be wirelessly connected to one another, more can travel closer together on the same amount of roadway, allowing infrastructure to be appropriately downsized, from lanes to off-ramps to all rights-of-way. These changes will also allow a big increase in the number of vehicles using the roadways, too. That has traffic engineers looking at the potential downsides to AV. While fewer crashes will improve traffic flow, there will be more vehicles on the roadway as people who cannot drive will soon be able to hit the road. Traditional mass transit use is expected to decrease as a result. But do not despair with all of this computerization. AVs will also take on some very human characteristics as well – including finding shortcuts through neighborhoods when major thoroughfares are congested. Miami-Dade County, Florida’s most populous with 2.8 million people and growing, is continuing to struggle with its transportation needs. Although among the 20 finalists for Amazon’s second headquarters, the county is again at a proverbial cross-roads of how best to move its residents around. At the same time, progress is being made on one project that will tie-in a big residential and commercial complex in the city of Miami’s urban core with new higher-speed rail. At a recent meeting of the Miami-Dade Transportation Planning Organization, transit and “transit-supportive projects” were established as the organization’s number one priority. For example, over the next five years, the county plans to install 300 “smart signals” at the busiest intersections that use cameras to monitor traffic flow and automatically change the timing of red lights to improve the flow. More effective mass transit solutions remain elusive though. The county has launched the Strategic Miami Area Rapid Transit (SMART) plan, which divides the county into six proposed mass transit corridors. How to fund the multi-billion dollar effort and the timetable are still being worked out. 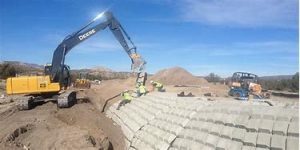 County commissioners recently asked for a full accounting of past transportation tax receipts that were supposed to go to new projects but instead were diverted to other uses. Meanwhile, the private sector isn’t waiting for future transit improvements – it’s capitalizing on those already in the works, in a project that is designed to re-vitalize Miami’s urban core. Residential towers are already under construction for the big Miami Worldcenter project, which will sit on a 27-acre parcel in the Park West neighborhood. The high-rise development is a mix of residential, hotels, retail, entertainment, and a convention center adjacent to the American Airlines Arena and All Aboard Florida’s MiamiCentral train station. All Aboard Florida utilizes higher speed rail that will eventually connect Miami to Orlando with numerous stops along the way. The service recently began its first-leg of service between West Palm Beach and Ft. Lauderdale. Miami-Dade County is the 7th most populous county in the United States. Its annual budget of $7.4 billion is larger than the budgets of 14 states. With 34 incorporated cities and unincorporated areas, slightly more than half of the county population lives in an unincorporated area. That unincorporated area, if it were a city, would be the largest in Florida. Governor Rick Scott announced that job demand in Florida increased by 2.8 percent over-the-year in December by adding 7,342 job openings. Florida’s job demand outpaced the nation’s demand, which increased by only 0.3 percent over-the-year in December. There were a total of 265,244 job openings across Florida in December, according to Help Wanted OnLine. In December, Florida also had the fourth-highest over-the-year increase in job openings out of the 10 most populous states.